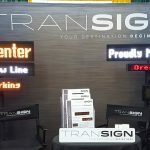 Transign has been providing the transit industry with high-quality, long-lasting transit signage for almost 6 decades, and now bring about innovation in transportation signage with our LED Destinator EnCompass replace with Series. Harnessing the power of technology, our LED Destinator EnCompass™ uses hands-free control options which change all interior and exterior signage according to the change to geolocation of the bus. The driver is then able to comfortably attend to roads, stops and onboard passengers without the distraction of having to change messages periodically. Travel is thus safer. Technology is the harbinger of change, and we believe in using it to revolutionize the way the transit industry operates. Travelers and Transit companies stand to gain from our advancements through automation and focus on passenger, operator and vehicle safety. The LED Destinator EnCompass™ system is affordable and will allow you to offer passengers enhanced services through better communication throughout the bus, as well as messaging directly to their PDA or cell phone. Such efficiency will result in increased ridership and better revenues. Configurable via a secure web interface with pre-set routes, interest points, and landmarks, these transit signs will allow you to display custom messages at each desired geolocation trigger point. Route updates are also applied automatically to each device wirelessly at chosen intervals. The optional 3G/cellular dispatch system can remotely assign message updates, detours, and stop changes, and provides instant communication between drivers and dispatch operations. Safety is at the core of this technology. As messaging is driven by automation, drivers can focus on their core task – driving. Without the distraction and botheration of having to change messages periodically. Driving gets safer even as your transit agency acquires the good reputation of delivering accurate messaging and transporting passengers safely. 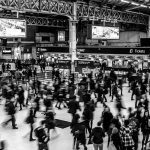 Efficiently too, as passengers get real time route information and fewer service interruptions caused by equipment failure or human error. 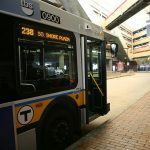 For more than 55 years we have provided the transit industry with high quality, durable destination signs, complimented by a reputation of superior customer service and support. Transign was founded by James Youngblood in 1959 with a commitment to “Quality Products backed by Quality Customer Service” and rapidly became the established market leader in a variety of innovative products for the transit industry.